Hi, My application keeps on going silent when playing some songs? What could be the problem? - does Poweramp pauses or visually continues playing with no sound? - what is the output device (BT, wired headset, etc.)? - is this Hi-Res output? Poweramp pauses with no sound at all unless I revoke action like say touch the Poweramp interface. It pauses when I'm using wired headset. 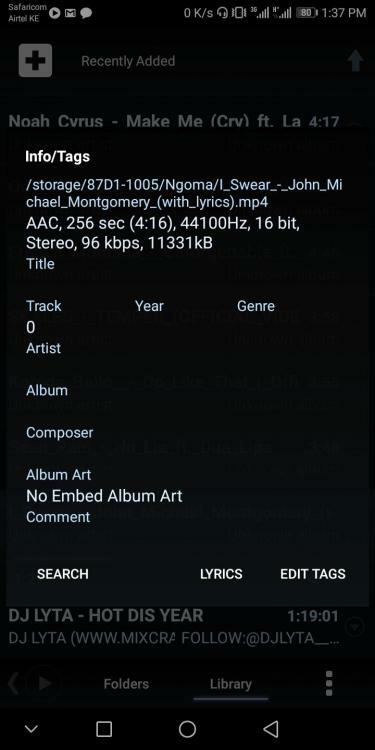 The track format is an example of the attached screen shot of the song I'm playing right now and keeps on pausing. Thanks for the timely response. Poweramp is the best but this pausing is boring. Moved to Poweramp v2 forum.